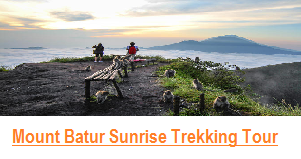 Mount Batur has been considered to be a holy site by Balinese people since long time ago. The location of it is in the middle of Bali island. 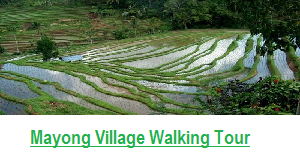 To be exact, it is located in a village called Batur, Kintamani district, Bangli regency. The location which is 1717 meters above sea level makes the weather there quite cool. 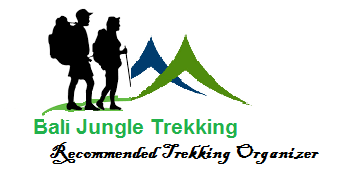 That’s why it is suitable for hiking, mountain climbing and trekking activities. Mount Batur is an active volcano which has erupted frequently since its first eruption in 1804. The eruption that brought this volcano to be visible above the ocean is one of the most forceful across the earth. the most recent one was in the year 2000. This volcano is marked by a collapsed top, called a caldera. The southeast wall of the inner caldera lies beneath Lake Batur, the biggest crater lake on the island of Bali. 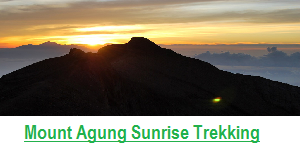 The best time to climb the mountain is during sunrise. 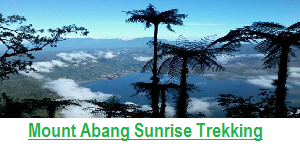 From the top of the mountain we can witness the glory of unforgettable morning sunrise. Besides trekking activities we can also see traditional coffee making in the surrounding villages of the active volcano. Batur is also well-known for its typical coffee called luwak coffee. What is more is that we can also take photos as we like with the background of the mountain with its green, lush, tropical plants. For those who would like to enjoy the nights at the site, they can stay at hotels or home stays around the active volcano. 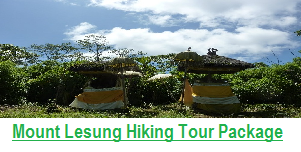 They can also enjoy camping at some camping sites around mount Batur. On the slopes of the mountain there are some hot water springs. You can even boil eggs with these hot water springs. As you know, most of Balinese people are Hindu followers. That’s why you will find Hindu temples around the mountain easily. There are also some religious festivals and ceremonies when people go on parades and put on their traditional Balinese clothes. The colorful Balinese clothes are worn by people everywhere during religious festivals and ceremonies. Thus, it can be said that the beauty and magnificence of mount Batur and its surrounding have made both domestic and foreign tourists visit this resort continuously from time to time. 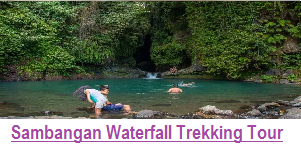 This spectacular tourist resort has been well-know all over Indonesia and around the world. Its fame has also attracted artists from around the world to enjoy its glory and they have been inspired to make their artistic creations like songs and paintings.